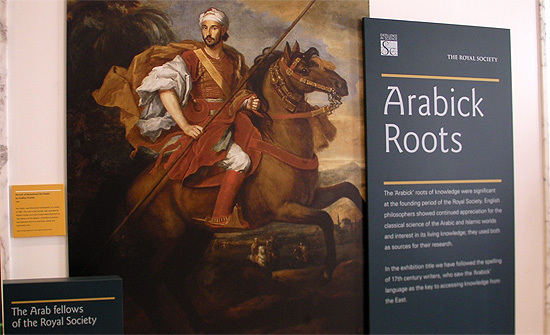 The 'Arabick Roots' exhibition was launched at the Royal Society in London on the 9th of February 2011 by HH Sheikha Mozah of Qatar. The exhibition curator is Dr. Rim Turkmani, who is a Fellow of The Royal Society and also a Fellow of the Foundation for Science, Technology and Civilisation (FSTC). The research for 'Arabick Roots' has been sponsored by FSTC and the lead sponsor of the exhibition is the Qatar Foundation for Education, Science and Community Development (which is Chaired by HH Sheikha Mozah).